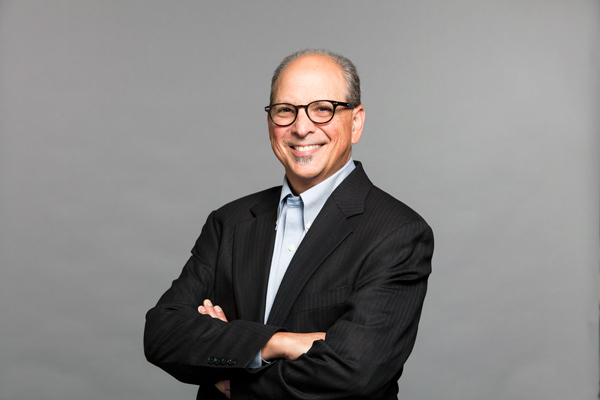 Andy Goodman has experience with companies facing chaos and catastrophe. Transforming OpenLink Financial’s HR department into a business-driven value center has been a task he was well prepared for. For Andy Goodman, his career karma has been chaos. It began calmly enough, though, in his first position with GE, where he received extensive human resources and corporate training after graduating from Stony Brook University with a teaching degree. But then, after seven years with Ernst & Young, Goodman met a series of tumultuous challenges: navigating an accounting scandal at Bankers Trust, helping Merrill Lynch adapt to the digital age, helping CA Technologies survive after its executive team was fired and then jailed for securities fraud and obstruction of justice, and developing strategies at E-Trade to help turn the company around after a downturn in business following the 2008 financial crisis. All of these characteristics, expertise, and experiences have made Goodman the perfect choice for executive vice president, chief human resources officer, when he joined OpenLink Financial in 2014. The company—a global leader in trading, treasury, and risk management solutions for the energy, commodities, corporate, and financial services industries—had experienced exponential growth since its founding in 1992. However, its rapid expansion in the volatile, fast-paced technology sector had left it without adequate core systems and processes. Additionally, Goodman found that the HR department he inherited was purely an administrative cost center. To address the situation, Goodman knew that he needed to get the right team with the right capabilities in place. He also had to define the core processes and operating model that would create an integrated environment to unify activities that had been running independently and without coordination. Those tasks would also be the first steps toward defining HR’s mission and purpose. Because there were no data archives or other formal history to refer to, Goodman initiated a survey to assess the current status. Two important priorities were to find out how employees viewed their work environment and to get them to describe the ideal setting in which they would like to operate. Besides a number of inefficiencies and redundancies, the survey and other data assessments revealed a lack of transparency, communication, context, and purpose, all of which left staff feeling disengaged and confused about how to build a career within the company. Because there was no established hierarchy at OpenLink Financial, employees believed promotions were based on tenure and favoritism and, in some cases, resulted in titles that were simply made up to put on business cards. Five key elements were identified as being critical to driving change in the culture: more transparency, effective communication, a unified team that operated without silos, recognition of each individual’s contributions, and accountability for everyone. Goodman then worked to change job definitions, titles, and hierarchies to bring them in line with market-based norms. This created clarity of functions, opportunities for professional development and advancement, and allowed HR to more accurately determine available talent resources. Goodman also introduced an innovative reward program called Bonusly. The program gives each employee points that they can award to others in any department or business line to recognize and reward their efforts and to show gratitude for their contributions. Employees can then donate points to charity or redeem them with merchants, such as at Amazon and Starbucks. These initiatives have already produced tangible results. Employee engagement has increased, and attrition has dropped by about 10 percent. By improving efficiencies and better understanding existing human capital, recruiting expenses due to fee-based sources are lower and headcount within the HR department has been reduced by more than 20 percent. Aside from providing a more manageable level of challenges than his previous positions, OpenLink is different for Goodman in that it is a smaller, private equity portfolio company. With that in mind, he is still working to increase his department’s contribution to the company’s profitability and delivering value to investors. That perspective brings Goodman’s story full-circle because of what he believes to be the most important lesson he took from his training at GE at the start of his career. “If you really believe and invest in developing your talent, then it produces a huge amount of return,” Goodman says. Mintz Levin is an Am Law 100 firm with over five hundred attorneys. Nationally recognized for its highly collaborative, cross-disciplinary approach to client service, the firm advises clients ranging from entrepreneurs to Fortune 500 companies across a wide range of industries.